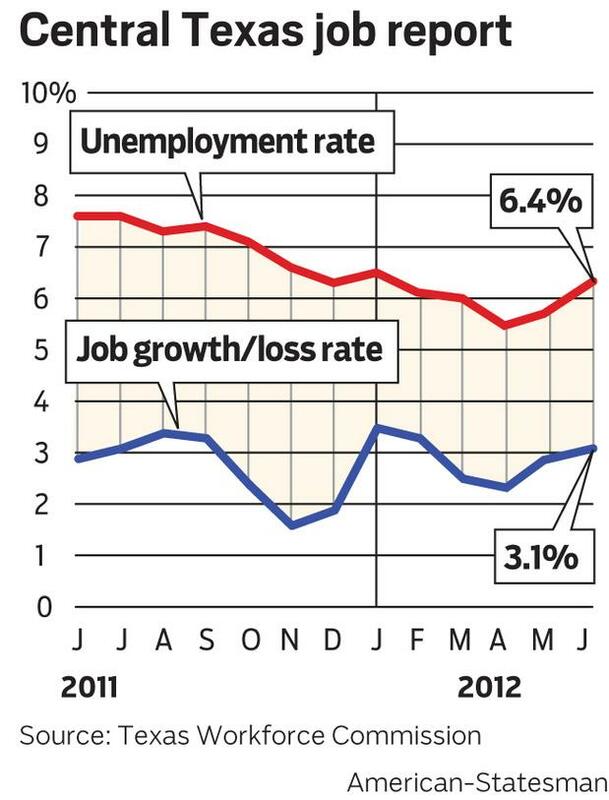 The unemployment rate was 6.4 in June, but the increase is due to seasonal changes in the job market, Statesman.com reports. The increase was still smaller than what it usually is for June, as well. The main reason the number of jobless workers in the area increased over ten percent in June was because of a growing workforce due to Austin's increasing population as well as students and other people re-entering the job market in June. This is something that happens almost every summer. Austin did gain over 3,000 employed workers in June and if the unemployment rate is adjusted for the seasonal factors, the unemployment rate is really down slightly, to 6 percent, a .1 percent decrease from May. Austin employers created 4,900 new jobs in June, an increase of around .6 percent from May and an increase of over 3 percent from a year ago. 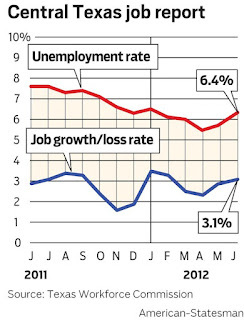 Statewide, the unemployment rate was 7.0 percent in June and the nationwide rate was 8.2 percent. So overall, Texas continues to outpace the nation in jobs. Relocating to Austin and looking for a great Austin apartment to call your own? Apartment Specialists can help! You've Lost Your Job, What Now?